I hope David Tacey’s book is another doorway into the realisation of the importance of metaphor. It rightly argues that the new atheism and fundamentalism are both misunderstanding the stories literalistically. Many stories in the Bible, however, are not about something that happened somewhere else at another time, they are stories about what is always happening (including here and now) – and that’s what gives them their power. The right question to ask of such stories is not: what actually happened? But: what does it mean? WARNINGS that it has become “impossible” to oppose faithful gay relationships without being regarded as an extremist, and that an entire generation is being “lost to faith in Christ” are included in a new book published in the run-up to the Shared Conversations on sexuality taking place at the General Synod in York. Amazing Love: Theology for understanding discipleship, sexuality and mission, edited by Canon Andrew Davison, the Starbridge Lecturer in Theology and Natural Sciences at the University of Cambridge, was published last week by DLT. In the same week, senior Evangelical clergy shared their positions on theology and sexuality in a new book edited by Jayne Ozanne, a member of the General Synod. Among them is the Bishop of Liverpool, the Rt Revd Paul Bayes, who writes about being “profoundly changed” by his interaction with the LGBTI community, and his desire to “make room and to extend the table”. Both books are being sent, free, to members of the General Synod, who are preparing to participate in the Shared Conversations next month (News, 17 June). Journeys in grace and truth: Revisiting scripture and sexuality, published by Ekklesia on behalf of Via Media Publications, features ten essays by Evangelicals. 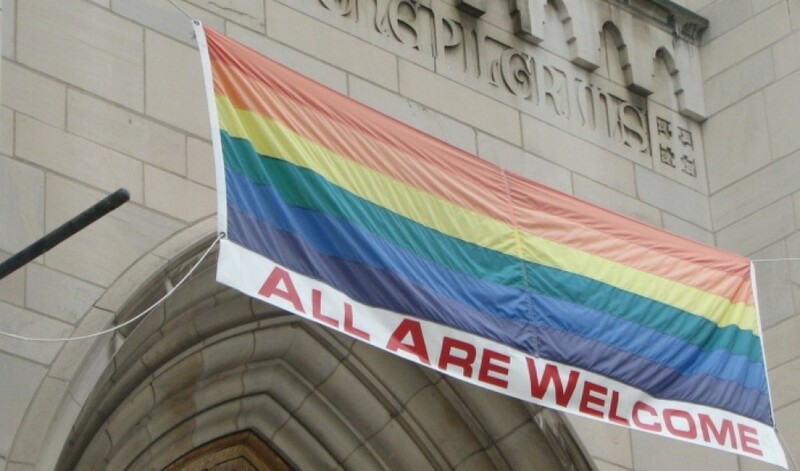 Many call for a shift in the current debate within Evangelical circles, and an end to the dismissal of those who have reached a different conclusion on sexuality. Not so! 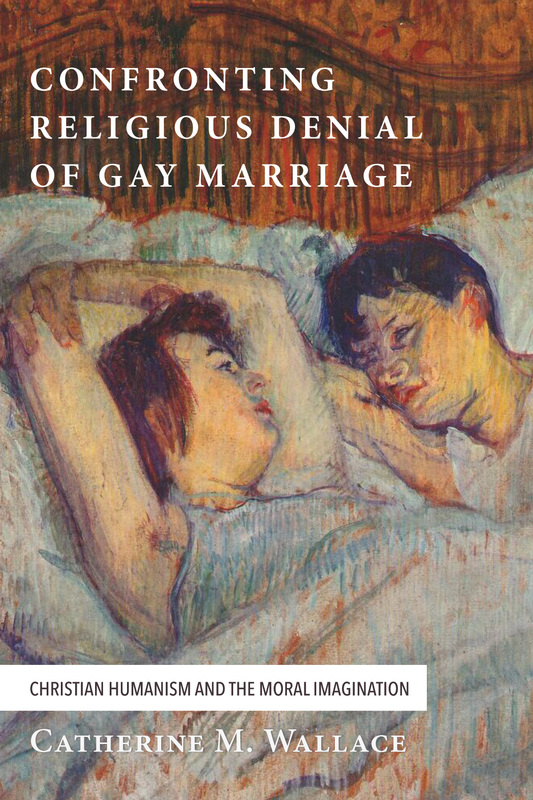 Confronting Religious Denial of Gay Marriage: Christian Humanism and the Moral Imagination by Ms. Catherine Wallace is thoroughly researched, gracefully written, and enviably witty. This book is like a hot date: engaging, intellectually seductive, and charming to boot. La tradition est sauve : « Le Synode sur la famille n’impose ni ne propose rien de nouveau… » Tel est le diagnostic dépité du théologien et historien André Paul, avant la dernière session du Synode. L’auteur connaît bien le dossier du mariage. Le reproche le plus lourd qu’il adresse à l’Église est son ignorance du sexe et de l’eros dans la construction familiale, et d’avoir fait du mariage une excuse pour le sexe, à condition toutefois qu’il soit voué à la procréation. L’amour que défend l’Église, juge-t-il, n’est pas celui selon Jésus mais celui des écoles pythagoriciennes.